There are numerous lists on the internet about which dive site should be on everybody's list and what the best places to dive in the world are. None of them however are compiled with help of opinions of divers themselves. There is always some 'expert' deciding for us. That's why we decided to create this list. Please upvote your favorite dive site and downvote those that are ranked too high in your opinion. The more people vote, the better the list becomes. You can vote just once for every dive site. We have added some of the most famous sites already, but there are many more. Please add them and make this list more comprehensive and better. 128 meters long and sunk on the 6th of October 1941. It was rediscovered by Jacques Cousteau in the early 1950's as a dive site. This is macro heaven near the more famous wreck in Tulamben. You can find almost every small thing there is to see in the ocean on this one site. Which one do you like better, the wreck or the critters? Diving in a cenote is something completely different from the other dive sites here. It is almost like cave diving in crystal clear water. The visibility can be up to 100 meters. Cenote Dos Ojos has 2 separate dives; the Barbie line and the Bat Cave line. Sipadan island is on many divers' bucket list and Barracuda Point is the best dive site here. No surprise is has a big shoal of thousands of barracudas often seen in a tornado-like formation. MS Zenobia was a Swedish built Challenger-class RO-RO ferry launched in 1979 that capsized and sank in the Mediterranean sea, close to Larnaca, Cyprus, in June 1980 on her maiden voyage. She now rests on her port side in approximately 42 meters (138 ft) of water and was named by The Times, and many others, as one of the top ten wreck diving sites in the world. Lembeh is world famous for its macro life and the Police Pier might be its best dive site. Expect macro life in huge quantities. Muck diving in one of the top macro diving places in the world; Anilao in the Philippines. Some say it is even better than Lembeh Strait in Indonesia. What do you think? The most famous dive site in the Andaman Sea and Surin National Marine Park discovered by Jacques Cousteau. 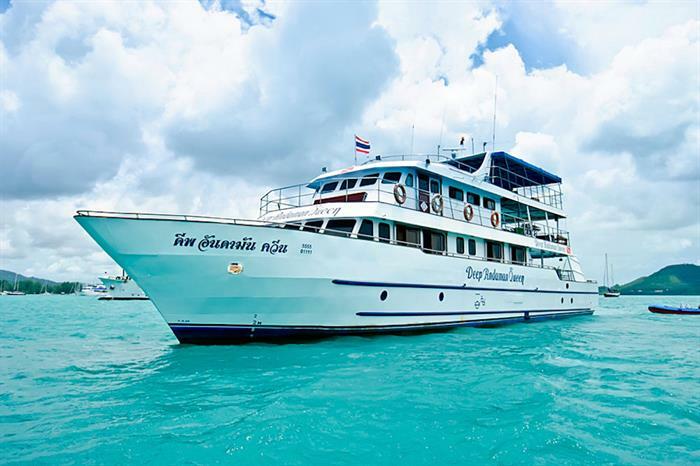 It is a typical liveaboard dive site, as it is too far off the coast to be reached by a normal dive boat on a day trip. The SS Yongala Wreck is one best wreck dives in the world, that's for sure. But is it the best dive in the world? The wreck is 110m long and sunk near Cape Bowling Green, Queensland, Australia in 1911 during a cyclone. It was re-discovered in 1958 and is now the most famous dive site in Australia. The 125 meter (411 ft 6 in) USAT Liberty was a United States marine cargo ship that beached on the island of Bali after being torpedoed by a Japanese submarine. In 1963 a volcanic eruption moved the ship off the beach to become one of the most dived sites in the world. Located at the Ras Mohammed National Park in the Northern Red Sea of Egypt. A reef dive, but maybe not the classic reef dive, because it also contains a wreck and a wall. What more can you ask for. Submit a dive site and we'll add it. Thanks!